So you've had your Instagram account for a while, you've racked up hundreds of awesome photos - ok, seven awesome photos and 193 of blurry cats - and now you want to free them from your phone and release them into the world. 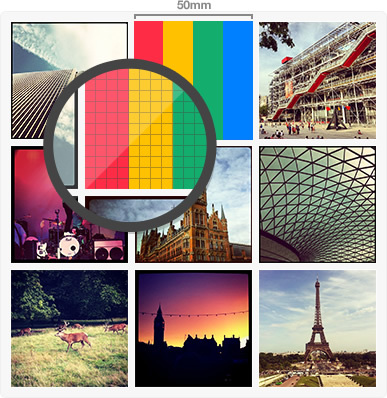 Here's my four favourite ways to make your online photos real. 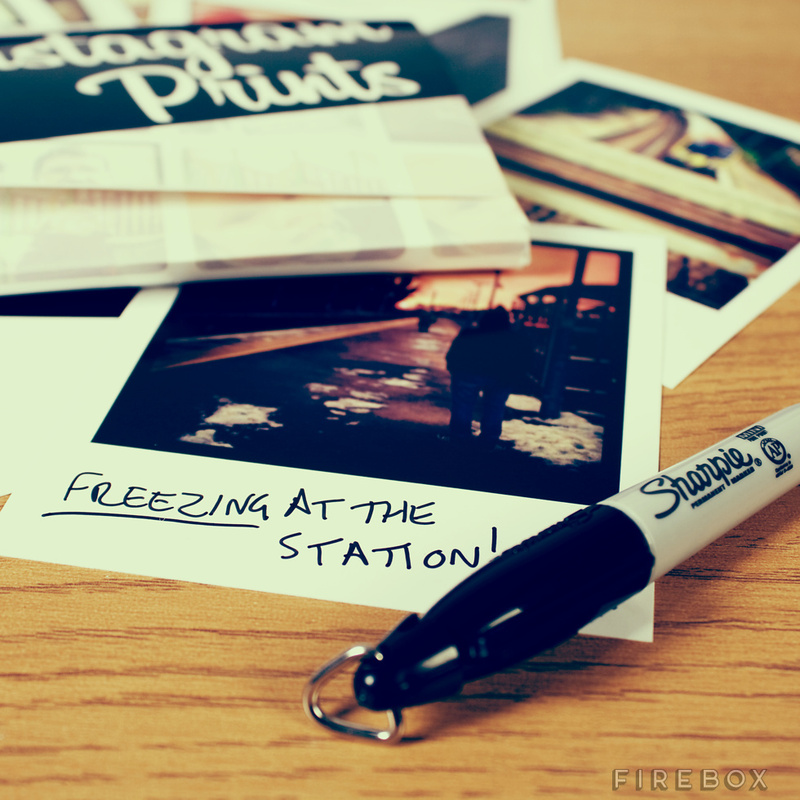 StickyGram converts your Instagram photos into magnets. It's fabulously cheap, fun, and hypnotically easy to use. I signed in out of curiosity and within a minute had nine of my favourite photos eagerly awaiting me in my basket. Each one is 5cm by 5cm, around the size they appear on your phone. A set costs $14.99, which works out at £9.75. They're a British company but charge in US dollars, presumably because they ship worldwide. Order today and they'll be with you within days. Is printing your Instagram photos in the style of old Polaroids a little bit hipster? Yep. Do I still want them? Hell yes. 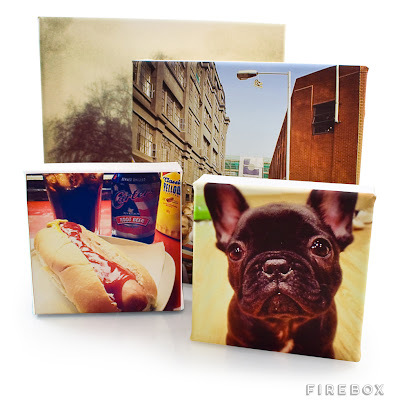 Firebox will do you 12 photos for £9.99 or 24 for £14.99. They'll even throw in a pen for you to scrawl captions on them. Got a photo you're particularly proud of? Then it's time to go back to Firebox, who can print it on canvas for you. Prices start at £19.99. Is it time to get a photo of my cat cuddling her toy mouse blown up to real size? Yes. Yes, I think it is. 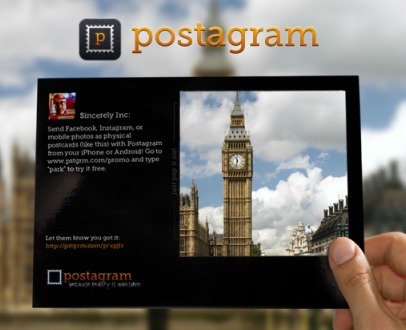 Postagram is very sweet - it converts your Instagrams into real postcards that it will post out for you. Pick one of your photos, type out a message, enter the address of whoever's getting a photo of a dog with a Lo-Fi filter, and you're done. Each one is $1.99, or about £1.30. Much easier than wandering around bellowing "OU EST LA POSTE?" if you're sending postcards home from holiday. Especially if you're in Italy. There's an enormous market for converting your Instagram snaps into tangible items. We've barely scraped the surface - do you want a customised iPhone case, coasters, a book, or even an Instagram bangle? If you can dream it, someone has designed it. Beware of customs charges with some of these last ones, not all are UK-based. Enter this code FRIENDLNM9 to get 2 dollars off!! Prinstagram is another great one. We used their tiny books for our wedding invites!